Bahia Principe Hotels & Resorts, an operator of upscale, all-inclusive resorts in the Caribbean, has been named 2017’s Hotel Chain of the Year by the Dominican Association of Tour Operators and Dominican Republic’s Popular Bank. Bahia Principe Hotels & Resorts captures the Dominican Republic’s idyllic appeal and offers more accommodation options in the country than any other hotel brand, according to the company’s statement announcing of the honor. “With more than two decades of experience providing all-inclusive vacations in the Caribbean, the brand understands that every guest is different and has worked tirelessly to create a portfolio of hotels that offers travelers the opportunity to experience happiness in a way that is aligned with their specific desires,” Helen Montijano, VP of Sales & Marketing for the U.S. and Canada, said. 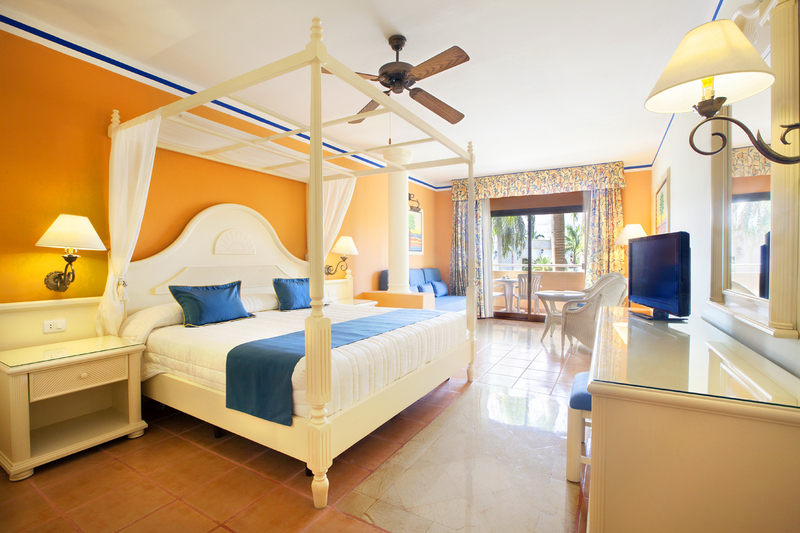 Since the debut of Grand Bahia Principe San Juan in 1995, the Bahia Principe brand grown to 14 properties offering over 7,000 rooms. Each offers upscale, yet approachable, accommodations with opportunities for excitement and relaxation, appealing to travelers from all walks of life. The chain offers a range of resort experiences including adults-only, multi-generational, off-the-beaten-path, health-centric or lively. Health-conscious travelers seeking a balanced vacation may find that the Luxury Bahia Principe Samaná fills the bill nicely. The adults-only boutique property, with just 149 rooms, features the brand’s exclusive WE Wellness Experience, a three-pillared program that combines wellness, cosmetic treatments and sports activities to enhance the travel experience. Activities include Zen Yoga, meditative sessions, anti-stress coaching, and athletic activities with a certified trainer. The area around the resort is equally restful and restorative. Samaná is considered one of the world’s most beautiful destinations. On a peninsula near the northeast corner of the island, the area includes must-experience natural sites like Los Haitises National Park featuring a magnificent display of Dominican flora and fauna and Salto del Limon, a cascading waterfall regarded as one of the country’s most alluring sites. Families may prefer Grand Bahia Principe El Portillo. Also located in Samaná, the resort’s Family Junior Suite and Family Master Suite accommodations offer the opportunity to stay connected on vacation with extra amenities for younger travelers including bath kits and a specialized minibar with juices, shakes, milk and soft drinks. 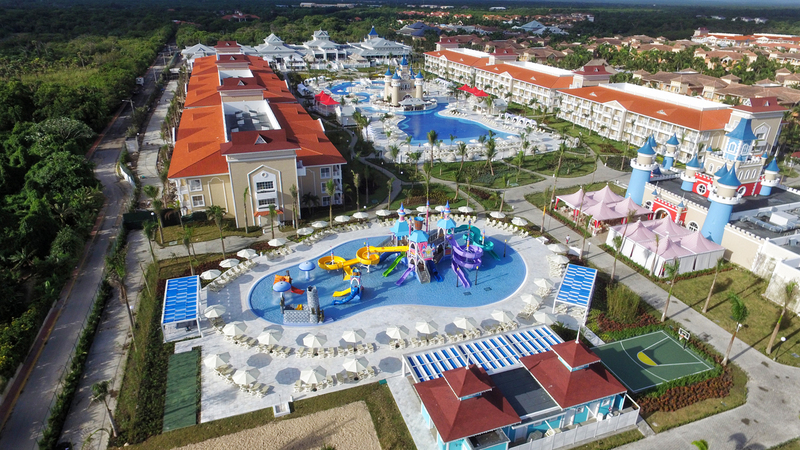 Families who want a more exclusive experience can opt for Grand Bahia Principe Cayacoa. Nestled on the opposite side of the peninsula, the property offers plenty of opportunities for enjoyment and outdoor adventure within a more intimate and peaceful atmosphere, according to the company. If luxury and seclusion are more your style, the one-hotel island of Cayo Levantado is home to the Luxury Bahia Principe Cayo Levantado. 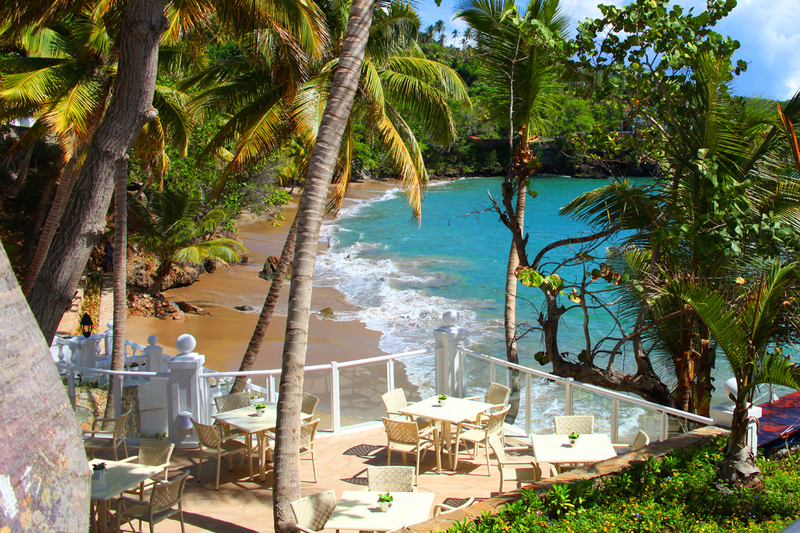 Called “the brand’s hidden treasure resort,” it is Samaná’s most upscale hotel with only 268 rooms. Guests here can enjoy serenity by the property’s two private beaches or by taking in the exquisite natural surroundings of beachfront Villa Playa accommodations that feature a balcony or terrace with hammock and outdoor whirlpool. Located halfway between the capital city of Santo Domingo and the tourist mecca Punta Cana on the island’s southeast coast is La Romana. The town is home to a complex of two resorts: Grand Bahia Principe La Romana and Luxury Bahia Principe Bouganville. 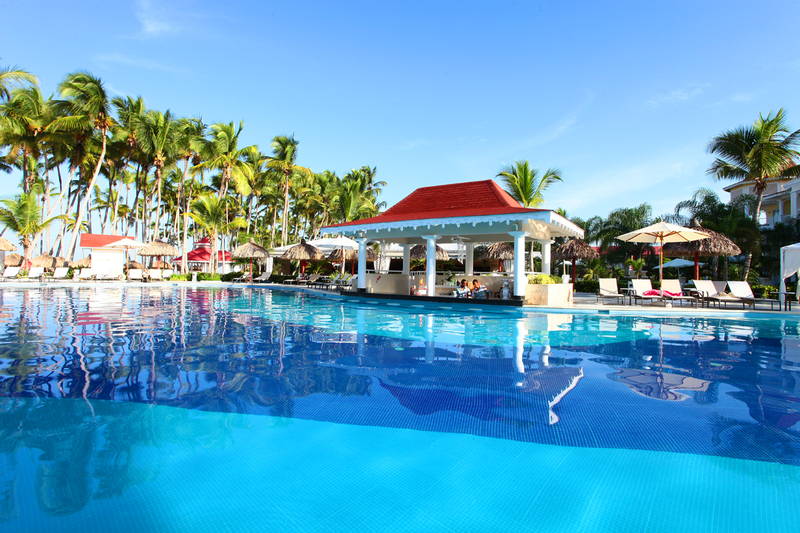 Grand Bahia Principe is well-suited to families with a pool designated for children and with dedicated activities. Luxury Bahia Principe is an adults-only property with luxury perks like butler services and access to the brand’s La Romana Golf Club. The town of La Romana is charming and serene, with attractions like Altos de Chavon, a colonial village with cobbled streets, and Isla Catalina, a scuba diving hotspot. Grand Bahia Principe San Juan, located in Rio San Juan on the island’s northern coast, offers a one-mile private beach, among its other upmarket offerings. Rio San Juan’s Playa Grande and Playa Preciosa beaches are a favorite among surfers. It is also close to Laguna Gri-Gri, a nature-lovers and tropical-bird-watchers’ paradise. The lagoon gets its name from the area’s abundant presence of the gri-gri tree. The dense mangrove forest that surrounds it is home to thousands of birds. Perhaps the most well-known destination in the Dominican Republic is Punta Cana, equally suited to family time or alone time with a significant other. 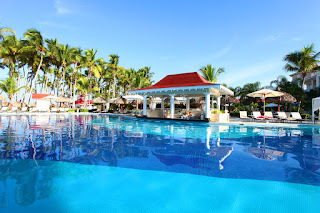 Punta Cana is also home to Bahia Principe’s newest resort, Luxury Bahia Principe Fantasia. This property offers activities and amenities where multi-generational groups don’t have to leave the property to enjoy a comprehensive vacation experience. Younger travelers will be fascinated by the fairy-tale castle in the center of the property and adults will be hard-pressed not to let out their inner child. Four additional family-friendly properties located in Punta Cana include Luxury Bahia Principe Esmeralda with prime beachfront accommodations, Grand Bahia Principe Bavaro and Grand Bahia Principe Punta Cana, the brand’s largest properties featuring 744 and 756 rooms, respectively, and Grand Bahia Principe Turquesa, home to a sprawling waterpark and a unique kid’s spa. The brand also offers adults-only accommodations in Bavaro for those who prefer a more intimate setting. Aptly named, Luxury Bahia Principe Ambar Blue is situated on the destination’s beautiful azure waters and Luxury Bahia Principe Ambar Green faces its lush gardens. Prices are surprisingly affordable for such upmarket accommodations. 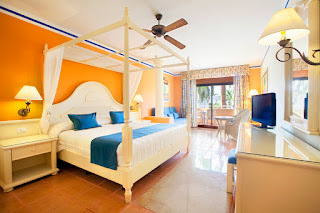 At the time of this writing, the Luxury Bahia Principe Ambar Blue was offering a web-only special for a week’s stay in late September in a Junior Suite Deluxe for less than US$100 per night. In addition to its properties in the Dominican Republic, Bahia Principe has four resorts on Mexico’s Mayan Riviera; two in Jamaica; three in Tenerife, Spain and three in Mallorca, Spain. More information is available on the Bahia Principe website, which is available in seven languages including English, Spanish, German, French, Portuguese, Italian and Russian.